Jehoshaphat’s deliverance? Not because of praise. The real reason. 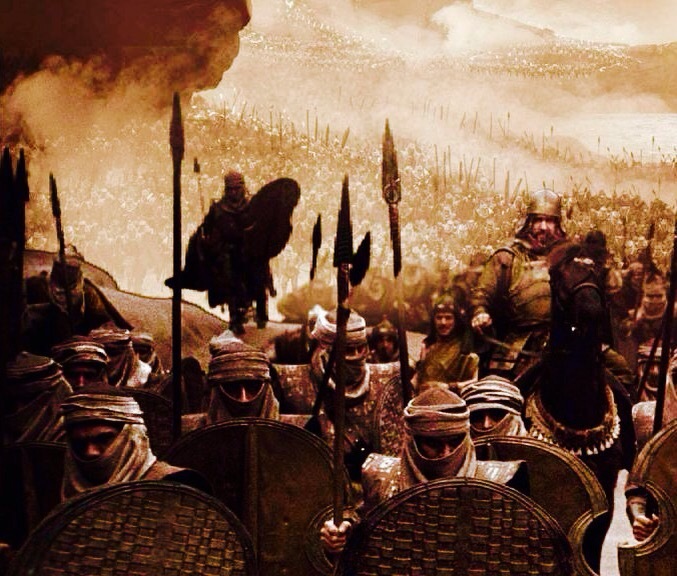 ‘Then some came and told Jehoshaphat, saying, “a great multitude is coming against you”. (2 chronicles c20:2). If you have been a Christian for a little while, you will have regularly heard that it was praise that brought about Jehoshaphat’s deliverance from the multitude. For anyone finding themself in an impossible situation, and choosing to express their faith in God by praising Him, I’m not saying God wouldn’t deliver that person. I am saying this isn’t what happened in Jehoshaphat’s case. (2 chronicles c20:1-30 NKJV). Praise does come at the end of the story but it doesn’t generate the story. Apologies worship leaders. I truly love this account because it provides, in such practical terms, a plan of action for anyone facing something they cannot rescue themselves from. This can’t be just theory. I believe there will be those who read this and for you too ‘a great multitude is coming against you’ (v2). If that is you, you want to know, how do I get out of this? Look at the photo. Imagine that horde coming after you. It’s just not enough to say it’ll be all right. Why will it be all right? HOW will it be all right? There are things Jehoshaphat did that brought about God’s intervention and I want to take you through these steps. And yes, even though I speak of being practical, there is a faith element, as there always will be, and I will come to this. To begin with Jehoshaphat’s reaction to the report of this huge, invading army is fear (v3). I’m so glad the bible records this. Do you ever wonder, am I the only who gets scared, or worried? Well, in spite of what you may think, it isn’t only you who has been so overwhelmed by something that you couldn’t even pray, stunned into silence, unable to see anything beyond the wall you are staring at? Jehoshaphat’s first reaction to what he faced was understandable and God didn’t hold it against him. This was his initial reaction. But then what? In v3, it says he ‘set himself‘ (v3). This may be the most difficult part. Like Jehoshaphat, we have to gather ourselves and establish an inner determination to trust in and seek God for the particular miracle we need. Jehoshaphat calls the people to fast and pray. . How many answers to prayer have we missed because we didn’t combine our praying with fasting? This is the pivotal moment and it could be argued that here is where the eventual victory was actually won! In v6-9, Jehoshaphat establishes a foundation of faith. As someone with an un-winnable fight on his hands, he reminds himself and, at the same time, makes declaration that God reigns, is mighty and in the past has been Israel’s deliverer. What does the bible say about your situation? About healing or provision, for example? Find out and declare back to God what He has said. Remind yourself how great and big God is. And be honest. In v12, Jehoshaphat says, ‘we have no power … We don’t know what to do … But our eyes are upon you’.. Remember what I said about Jehoshaphat’s initial fear. You don’t have to put on a front with God. He knows what you’re thinking anyway, so be honest. Uncertainty isn’t the same as unbelief. We find ourselves in situations where we don’t know what to do either. But be like Jehoshaphat. He overcame his initial fear, he set himself to trust God and even while he acknowledges the fact that he is powerless and has no solutions to his problem, he is trusting in and waiting for God to do something. If you are facing a multitude of your own right now, so far what I’ve said will probably have been challenging. Now, though, for the best bit. ‘Then the Spirit of the Lord came‘ (v14). O the joy when God intervenes and all the resources of heaven are activated on our behalf! What a difference the presence of God makes to us. The Spirit of God came with a ‘thus says the Lord‘ (v16). ‘You will not need to fight in this battle‘ (v17). This is the same promise that God made in Exodus 14 when the Egyptians pursued Israel through the Red Sea. Not only has God promised victory, they won’t even have to fight first to get it. All God instructs is ‘tomorrow go down against them’ (v16). Wow, that takes faith. God is telling them, face down an unbeatable foe, but don’t worry, it’ll be all right. ‘Jehoshaphat … all Judah and the inhabitants of Jerusalem bowed before the Lord, worshipping the Lord‘ (v18). There is such faith in Judah’s rejoicing because even as they bow before God, there is still this vast army camped outside. Their external circumstance has not changed, but they now look on it with faith not fear. They celebrate their victory before it has occurred. They made the important, quality decision to choose to believe and focus on what God has spoken over their circumstance, rather than what the circumstance itself tells them. God provides alternatives. Going through a difficult time, I’ve attended meetings that were direct encounters with God, where I heard just what I needed to and went to bed that night feeling so free. Then you wake up in the morning. You might not be quite so aware of God’s presence by this point and you have to choose either to let circumstances grip you again or hold to what God said to you and walk it out. Verse 20 tells us ‘they rose early in the morning and went out … And as they went … Jehoshaphat … Said … believe in the Lord your God, and you shall be established’. They rose early, acting decisively, giving no opportunity for doubt to return, but instead, reminding themselves of the promise even as they went. God did all that He said He would for Judah and The One who ‘is the same yesterday, today and forever‘ (Hebrews c13:8) will be as equally reliable for us. What we see in this account is that fear is a natural response to our circumstances but worship is the natural response to God when He comes. The bridge from one to the other is to ‘set yourself’, an inner determination to trust God. I don’t believe God has shown me all this for mere intellectual stimulation. There is purpose in what God does. In part, God is probably preparing me for something ahead, but I believe this is also God’s word for some who will read this. I want to tell you that God sees the oppression of His people and has heard your cry, knows your sorrows and has come down to deliver you. (See Exodus 3:7-8). Categories: Fasting, Prayer | Tags: fasting, prayer | Permalink.